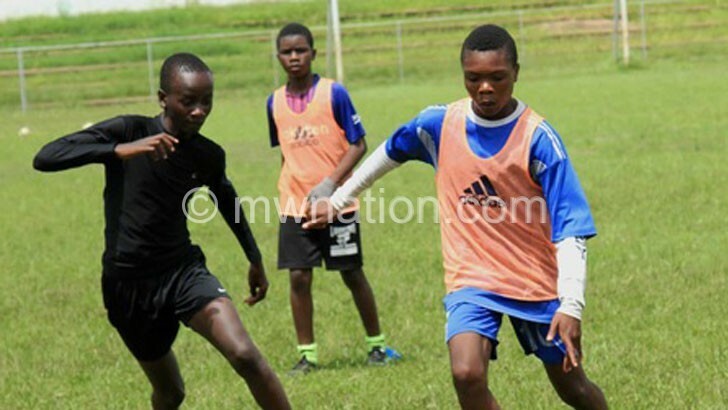 Football Association of Malawi (FAM) Under-15 players have began their final lap of preparations ahead of the establishment and official launch of the national football academy on March 9. FAM technical director John Kaputa yesterday said they began the final tune-ups for the 40 young players last weekend at Chilomoni Stadium in Blantyre to keep them in good shape ahead of the launch. He said so far, the boys are responding well to training and will be in great shape when the academy fully rolls out next month because this Friday they will undergo educational sessions at Mpira Village in Chiwembe, Blantyre. “These training sessions are important to get the boys used to what is expected of them when we start serious business in March,” Kaputa said. The players, drawn from Misesa, Kapeni, Kanjedza and Limbe primary schools in Blantyre, were identified through recent grassroots football activities and have been undergoing the drilling process in basics of the game since November 2018 under youth coaches Abel Mkwandawire, Clement Kafwafwa, Lawrence Mnenula, Sherry Msuku and Sylus Luwindo. Kaputa said once the pilot phase of the project, which FAM is running with some financial support from the world soccer governing body Fifa, proves to be successful, it will be extended to Lilongwe, Mzuzu and Zomba cities. Mkandawire said they are happy that the academy players are able to demonstrate the skills that the coaching panel is imparting to them. FAM president Walter Nyamilandu told The Nation recently that Fifa accepted the academy project and they received “technical guidance on its formulation as well as technical support for implementation”.